Please provide us with the most effective way for us to reach you. Please select from the directors listed that best applies to your event being held. What is your 1st choice for a date? Please give us an idea on a time frame that you'd need the facilities. Please complete in case your first option is not available. Please give us an idea on the 2nd best time that would accommodate your event. Do you need rehearsal times leading up to this event? Will you need tables? Rectangular or Circluar? Please provide us with the breakdown: "per adult; per child"
The Citadel of Love recommends that this form be submitted at least six (6) weeks prior to the tentative date of the event. 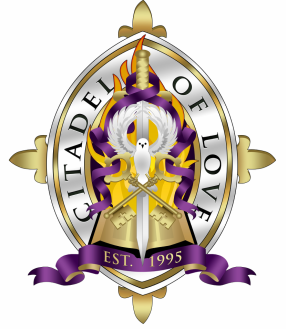 No publicity or distribution of tickets can occur prior to the submission and approval of this signed agreement by The Citadel of Love administration. Any request given with less than a thirty (30) day notice will not be considered and is hereby denied.